We are located in the Bel Air Shopping Plaza on Truxel Rd. and West El Camino Avenue. Take I-80 Fwy toward west. Exit Truxel Road. Turn left at the exit. Turn left on W. El Camino Avenue. Turn into the Bank of America/ Bel Air Plaza. Our office is located behind Wells Fargo Bank. Take I-80 Fwy toward east. Exit Truxel Road. Turn right at the exit. Turn left on W. El Camino Avenue. Turn into the Bank of America/ Bel Air Plaza. 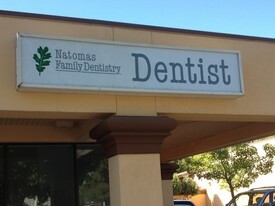 Our office is located behind Wells Fargo Bank. Take I-5 Fwy toward north. Exit W. El Camino Avenue. Turn right at the exit. Travel pass Truxel Road, then turn into Bel Air Shopping Plaza. Take I-5 Fwy toward south. Exit W. El Camino Avenue. Turn left at the exit. Travel pass Truxel Road, then turn into Bel Air Shopping Plaza.